Need to know how to clean suede shoes? Then check out this guide from us here at The Idle Man for all you need to know. Suede shoes have been an iconic piece of men's fashion for decades. However, despite their rich history, suede shoes get a bad wrap these days. But never fear! There are ways to embrace suede without looking like you're off to a tacky fancy dress party. Despite the belief that suede shoes are hard to style, this isn't the only reason fewer people are wearing them. Not known for their great performance under rainy conditions, they're also notoriously difficult to keep clean. Fortunately, this isn't necessarily the case. Suede shoes can be particularly hardwearing and versatile, despite the lack of credit they receive. So let’s start with some background. What is suede anyway? And when did wearing suede shoes become a thing? Suede is kind of like leather. Cowhide is used to make both suede and leather. Although they're produced using different methods. Unlike leather, suede is made from the underside of cowhide. The hide is split after tanning, giving it that special soft texture. Traditionally it would be split by hand (a very difficult task requiring expert precision). Luckily we have machines to do all that tricky stuff for us nowadays. In 1920, the Duke of Windsor, a smartly dressed chap called Edward, made suede shoes a trend. Breaking all the fashion rules of the time by wearing brown suede shoes with a navy suit. Others at the time saw that as a big no-no, but Edward’s look helped inspire the 50’s Teddy Boys, who took on the interestingly-named and slightly ridiculous looking suede ‘brothel creepers’ as one of their signature shoes. Eventually, the style crept its way into America and in 1955 Elvis Presley’s ‘Blue Suede Shoes’ immortalised the dancing shoe forever. 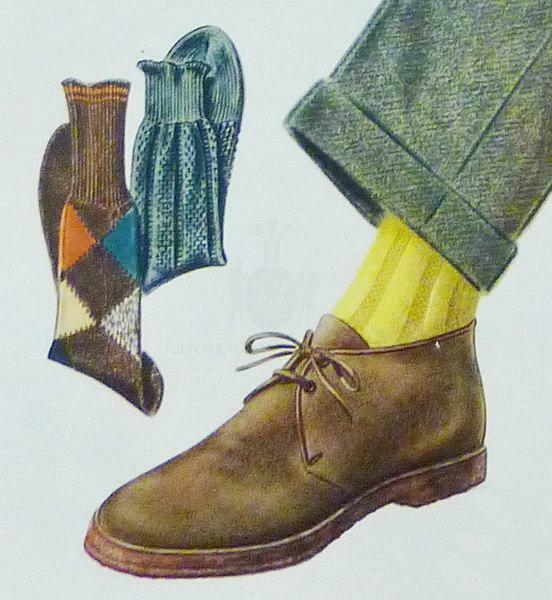 But it’s not 1955 now, and the suede shoe is the final frontier of fancy footwear for many a modern man. So let’s have a look at some ways to style suede in the 21st century. 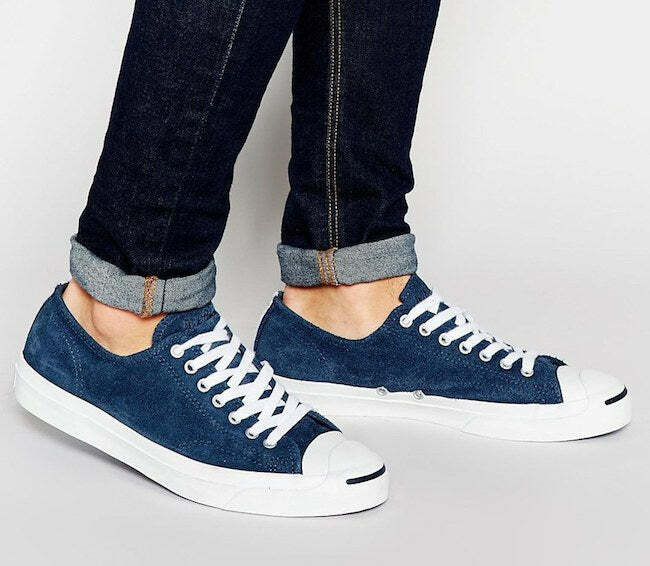 Suede shoes are comfortable and lightweight, which makes them good for everyday wear, but they can be difficult to dress down in a casual outfit. There aren't many blokes who could pull off suede brogues on a trip to the pub, or a pop to the shops. That said, as a perfect alternative to darker leather, try some grey suede shoes. Try combining these with some grey or black jeans and a white shirt. However, be careful not to go all grey as this can overpower your outfit and appear very dull. Of course, if you're looking for a more casual alternative then there are options out there. Who said all suede shoes had to be smart cuts? Why not go for a nice pair of suede trainers instead? You could wear them with nearly any everyday outfit, and can pick out some brighter colours that would possibly look tacky on a formal suede shoe. So we’ve covered casual, now let’s smarten things up a bit. Black, brown or navy suede shoes, either brogues or monk straps, can be paired up with plain or patterned shirts. Then top it all off with a good sports jacket that matches your trousers – colours. Blue or grey are always a safe bet when trying to wear more formal clothes. Brown, tan or olive may also be good depending on your complexion, but keep away from black with this one. Suede shoes make great formal wear and are a good opportunity to break away from the standard black or brown leather shoe. A pair of lace-up brown suede Oxford shoes will serve you well for many a fancy occasion. You could also go for brown or navy, but make sure the colours don’t clash with your suit. You shouldn’t be wearing a navy suit with navy shoes, and the same goes for gray or charcoal. A lighter blue suit can also match up with brown suede shoes, and will make you appear a little bit less formal and serious. On the other hand, if you're going for a more formal look, then black suede shoes can work nicely with darker blue or grey suits. To avoid over complicating a formal outfit, plain black suede shoes are perfect. For more advice on picking your suits well, check out our do's and dont's of suited style. Before you begin, check that your suede shoes are in a cleanable condition. There is no point in trying to clean a pair of suede shoes if they're soaking wet, for instance. If this is the case, leave them somewhere indoors to dry before you begin. Now, when it comes to actually cleaning the shoes, you will probably want to invest in a suede cleaning kit. Most suede cleaning kits will contain at least a suede rubber and brush. However, if you've got a more expensive one then it may contain suede shampoo or spray. The suede brush is going to be the most important weapon in your suede cleaning arsenal. You can get different types of suede brush, each varying in bristle strength. Although, if you don't have time to get a specific brush, you can use other types of brush, such as a toothbrush. Once you've got your hands on a brush, use it to scrub any dirt on the outside of your shoes. If there are any particularly stubborn marks, try using a suede rubber on them. Take the rubber and rub it against the grain of the nap, then use the brush to push the nap back down. If your shoes are extremely dirty then you may consider using your suede cleaner mixed with a small amount of water. However, be careful not to use too much as this will just make your shoes soggy and may leave them with salt lines. After you have brushed away the excess dirt on the top of your shoe, you need to give them a proper clean. The best way to do this is with suede cleaner or shampoo. If you're wondering, there isn't really any difference between cleaner and shampoo. They're both just liquids that create a lather and can clean suede shoes. Take your suede brush or an old flannel and apply the suede cleaner to it. Begin scrubbing the cleaner into the suede shoes in circular motions. Try and apply the cleaner as evenly as possible to your shoes, although, you can concentrate on areas that are particularly dirty if you need to. While it’s true that leather is sturdier than suede, it’s a myth that suede will fall apart in the rain or be ruined the first time it gets wet. Really, the only thing that will totally wreck suede shoes is salt (and the same goes for leather there). A bit of water won’t damage them in the long run as long as you dry them out carefully. After you have cleaned your shoes, a suede-protecting spray is a worthwhile investment, and will lengthen the lifespan of your shoe. Perhaps most important is properly storing your shoes. Make sure they’re somewhere dry, and it’s a good idea to keep them in a pillowcase or something similar. This will keep them protected from dust, but still be breathable. To make sure that your shoes are always kept clean and damage free then why not try using a protection spray and cure to keep them looking fresher for longer. These products from Crep Protect are spot on for keeping your favourite shoes pristine for longer. Timberland boots are undoubtedly some of the most classic suede shoes. Typically produced in a light tan or sand colour, Timberland boots offer a great combination of style and practicality. Timberland boots have gained a reputation for being particularly hardwearing. However, they have also grown into an iconic fashion piece. Whether you're wearing Timberland suede boots for their practical uses or just because they look great, you will want to keep them as clean as possible. When it comes to Timberland boot care, you will want to clean them similarly to other suede shoes. However, the lighter colour of most Timberland boots can mean that you will want to take some extra precautions. For instance, when brushing your suede shoes, why not try adding some suede cleaner to the brush itself before applying the brush to the shoe. You will also want to clean the sole of your Timberland's. To do this, take your brush or a flannel and some soapy water, and then scrub away any dirt or marks that remain on the boot sole. Get the right shoes for your outfit. Suede can look great if combined with the right outfit, but can be disastrous if they don't go. Prepare before cleaning. Make sure you have everything you'll need to clean your suede shoes and that the area is suitable. Use a brush to clean. Whether it's a proper suede brush or just a normal toothbrush, use it to scrub away any dirt on your shoes. Use a rubber for any stubborn areas. Use your suede cleaner. 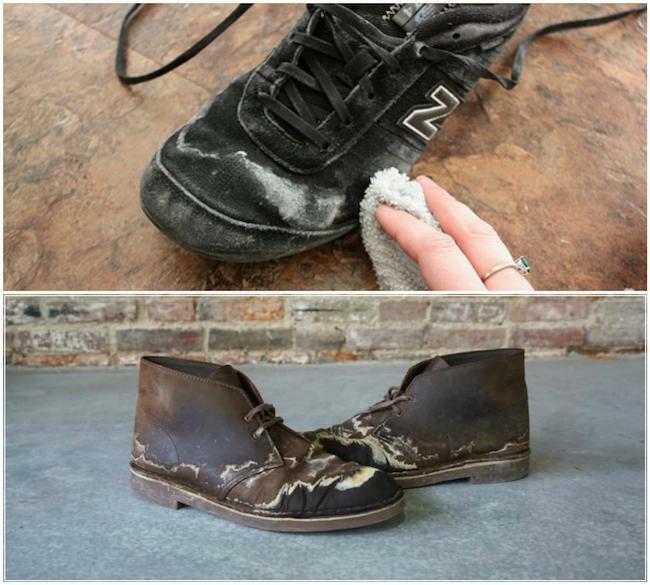 After you've got the worst parts use your suede cleaner to shampoo the shoes and give them a much deeper clean. Dry your shoes. After you've cleaned your suede shoes leave them to dry in a cool dry place. You can use a towel to speed the process up. However, be careful as this can make the shoe's colour fade. Protect your shoes. After you've cleaned your shoes as much as possible, spray them with some suede protector spray to stop them getting dirty in the future. If possible, do this before you've ever worn the shoes in the first place. With a bit of proper care, you can get many snappy and suave outfits from your trusty suede shoes. So, to all you doubters, put on your dancing feet and take some suede shoes out for a spin. You might just like it. If you want to learn a bit more about what shoe is which, and when to wear them, here's our handy guide to the eight types of formal shoe. Before you go and hit up the Idle Man shoe section here, remember to keep an eye out for suede.